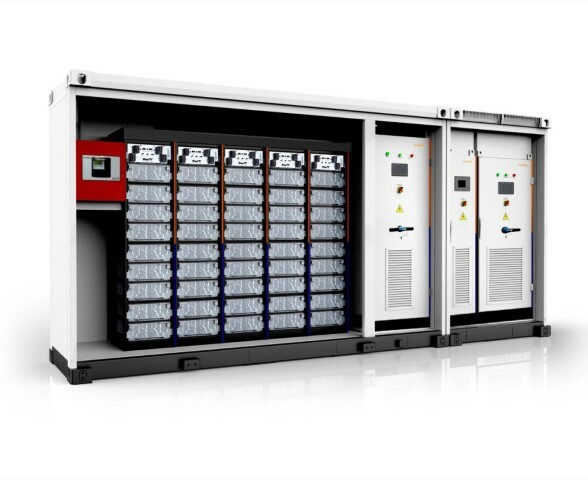 Introducing the 343kWh commercial container battery solution powered by Samsung. These containerized solutions offer multiple installation options that are scalable to any size with a minimal footprint and very simple maintenance requirements. Businesses facing peak shifting opportunities, demand response challenges or microgrid requirements will find the containerized system a perfect solution. We have the container battery solutions priced and ready to go to any Australian address. Get in touch for full specifications and pricing today. The 343kWh containerized battery solution is one of many options Solar Heroes have available for business energy requirements. We specialize in designing solar solutions for all sizes and types of businesses. No matter the size or region, we have solutions that will achieve long term financial gains, reliable electricity supply for companies with unreliable grid power and that will help move towards a low carbon footprint. Our team specialize in both grid connected and remote off grid solutions. We have assisted remote communities away from costly outdated diesel power plants, power hungry inner city companies towards self generation and utilization, install battery backup systems to help prevent costly stock loss from outages and much more. We have a dedicated commercial and community division that are ready to speak with you and your financial advisers or stakeholders. We can detail a cost and benefit analysis tailored to your specific circumstance in order to highlight the relative costs for no action vs. benefit for taking action and will clearly outline payback period timelines. The technology to harvest natural free energy is here, it is now at the right price and makes complete sense to investigate how solar can benefit your company or community.